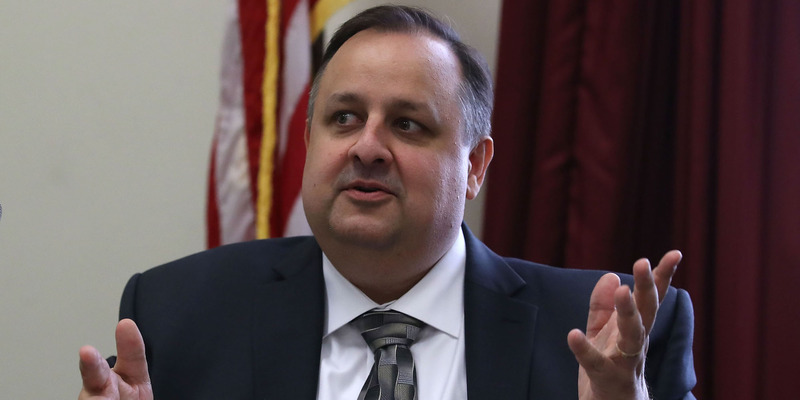 The former head of the Office of Government Ethics, Walter Shaub, hit back at critics of his recent viral tweet in an interview with Business Insider. Shaub wrote that he was “stocking up on portable phone chargers, warm clothes, & gear needed for when we take the streets” if Trump fires special counsel Robert Mueller. Shaub said the resulting backlash was a “coordinated attack” from those who are fearful of what the Mueller probe will show. Walter Shaub, the former head of the Office of Government Ethics under Presidents Barack Obama and Donald Trump, hit back at critics of his recent viral tweet in an interview with Business Insider. Shaub, who resigned earlier this year from the post ahead of his five-year term’s completion, tweeted over the weekend that he was “stocking up on portable phone chargers, warm clothes, & gear needed for when we take the streets” if Trump fires special counsel Robert Mueller. Conservatives quickly roasted Shaub, an Obama appointee, for the tweet, which has more than 12,000 retweets and 24,000 likes. The tweet even got placement on the “Fox & Friends” morning show, which Trump watches frequently. Responding to some of the backlash, Shaub, who frequently clashed with the Trump administration in his past role, said it was the first time he had experienced such a response to one of his tweets. He said he was flabbergasted about how anyone could read his tweet and interpret it as a call for violence, noting that the items he was talking about gathering ahead of a possible march were for obviously non-violent purposes. For example, he said, the phone batteries would allow him to tweet.